Want to learn more about the use of blockchain in the modern world? Check out this post on the application of blockchain technology in business. As quoted by Albert Einstein, "compound interest is the eighth wonder of the world and the most powerful force in the universe, even more powerful than an atomic bomb." Compound interest, as indicated by its literal meaning, creates a fortune by increasing the amount of money without restrictions. Warren Buffett sets an example of making a fortune with compound interest. Since taking over in 1965, the compound interest effect enabled Buffett to get a yield of 90409 percent. This equals to a total growth of 6262 percent in the index compared with the 9.4 percent yearly compound yield rate of the S and P 500 Index during the same period. However, only a few have experienced such a miracle like Buffett. Many times, we miss the opportunity not because we lack the ability or wisdom, but because our cognition makes us ignore opportunities hidden around us. Fortunately for us, there is a new wonder of the world in town — blockchain. No other technology can bring so many possibilities to a future social revolution like blockchain. We can never attach too much importance to the applications of blockchain in IoT. There are many enterprises that have already invested in blockchain. Organizations such as Bosch, Cisco, BNY Mellon, Foxconn, and Gemalto, and co-founded a blockchain IoT community with three blockchain startups in early 2017 to promote IoT application with blockchain technology. Alibaba has also collaborated with ZTE, China Unicom, and the Ministry of Industry and Information Technology to build an IoT blockchain framework. For me, the power of blockchain goes beyond its underlying technology. Blockchain is influential because it is directly related to three fundamental bases of our lives: money, trust, and power. Information creates mobility, which, in turn, leads to changes. Kevin Kelly has in-depth insights for mobility: what counts is not the number of objects, but the number of methods to link, process, comment, mark, translate, and strengthen an object over other media. Mobility further releases the value of creativity and objects. We often say the Internet is an epoch-making technology because the information revolution resulting from the Internet is a revolution of mobility that has more extensive, fundamental influences and brings more thorough changes. In addition to objects, currencies are also being converted into information. Money is now more like information, and in turn, information is worth more money. However, money moves much slower than other types of information. A global financial system affecting the entire world with a relatively slow capital flow speed contradicts the more widely distributed, more diversified, and faster increasing technological trend with an increase of entropy. As this contradiction worsens, the birth and growth of the blockchain technology becomes inevitable. The blockchain is redefining the transactional structure of the entire society. Regarding transformation speed, even the Internet may not be comparable to the blockchain. Using blockchain technology, we can trace the asset ownership before, during, and after a transaction in a transparent, secure, and digital model. Blockchain brings apparent changes in mobility of financial activities, such as daily payment, stock exchange, and credit loan, and makes unprecedented improvement in efficiency of the financial market. Blockchain creates a possibility of reshaping the entire capital market. Have you ever considered what the most time-consuming thing that matters in the world is? Trust. Trust is a dependence between two parties who exchange something, affecting each other's interests. One party must depend on the other to acquire its interests. Trust cannot be built within a short time, because trusting someone means that you are subject to damage caused by this party. People accept currency notes because they trust the purchasing credit of currency notes — not because currency notes are commodities per se. Credit is the essential property of currency notes. The core value of blockchain is to create a transparent rule using a programming algorithm and build a trust network based on the standard to ensure point-to-point trust and transaction security. This trusted network removes the need for a centralized third-party organization in the traditional model and eliminates the unified bill update and verification processes. We can say that blockchain creates a digital credit system supporting point-to-point value transfer at an ultra-high speed. This credit system creates an opportunity to address credit issues thoroughly and may significantly reduce transaction costs. People's trust in telecommunications operators and banks is essentially trust in the transparent blockchain protocol, the equal interconnection and social contract between nodes, the interconnected self-organized systems, the "network" over each node, and the right to configure resources "above them." Power came into existence at the beginning of human history and is still the most important thing to human beings. When you purchase a commodity, you obtain the ownership of the commodity and pay for it with your money. To consumers, this is a fairly basic process. However, for businesses, the information generated from your transaction is priceless. It is not the cost or ownership of the commodity that makes an entity powerful, it is knowing exactly when and what commodity to invest in. Manufacturers and retailers often fight for the ownership of customer purchase information for this exact reason. In the traditional market, manufacturing giants like P and G and Unilever have almost complete control over the entire supply chain. Manufacturers could easily influence the market with advertisements and introducing new products. However, this situation changed soon with extensive use of bar codes and RFIDs. Combined with the Internet, retailers were able to gain customer behavior information easily, transferring the power to them. The result of power transfer is evident. Companies like Walmart can cut costs by avoiding distributors and negotiating with the cheapest manufacturers directly. However, retailers did not enjoy this beneficial situation for long. E-commerce platforms surpassed physical supermarket chains quickly through another phase of power transfer. They can obtain not only primary purchase data, but also the commodities you view and the ones you put into your cart. Because of this, e-commerce platforms gained a dominating position quickly. With Internet of Things (IoT), e-commerce platforms will soon lose the upper hand. The recent rise of smart devices puts manufacturers back in a good position to regain power in the information market. IoT will also introduce new challengers into the information market, most notably logistics enterprises. With the information generated from IoT, logistics enterprises can optimize operations automatically, as well as make accurate prediction of customer behaviors without going through retailers. When an airline company finds that you must travel to somewhere recently and you are insensitive to the airfare, it offers you a price much higher than that provided to others. This is only a preliminary method of "information trickery." A human-to-machine power transfer may occur as you become more dependent on machines to make purchase decisions. The combination of the blockchain, IoT, and artificial intelligence can control not only our thoughts, trust, transactions, and fortune, but also the flow of power. Whether we like it or not, blockchain is making irreversible changes to the entire society, not just from a technological point of view. 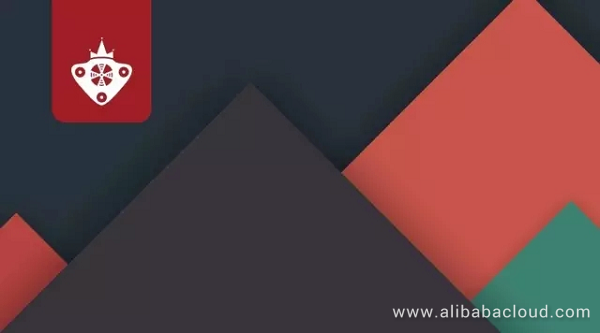 Visit www.alibabacloud.com to read more articles on blockchain and to know more about the latest technology trends.